A new report citing analysts from Mirae Asset Securities (MAS) claims that Samsung's next flagship smartphone, believed to be dubbed Galaxy S6, will debut early next year at CES - and not MWC as expected. 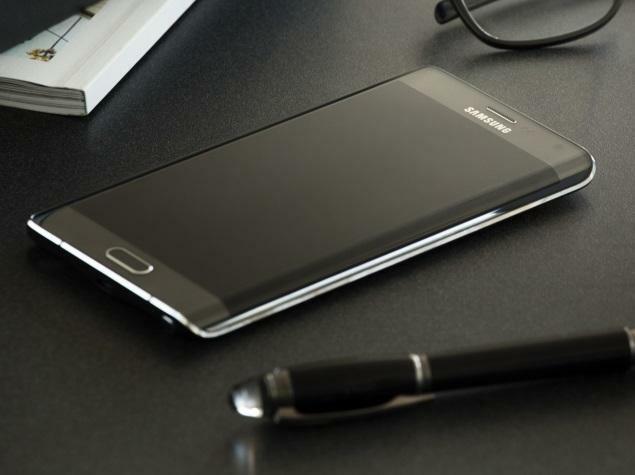 Corroborating earlier leaks, analysts also tip that Samsung, along the lines of the Samsung Galaxy Note 4 and the limited edition Samsung Galaxy Note Edge, will launch the Galaxy S6 Edge alongside the Galaxy S6 at the event. Interestingly, analysts also hint that the next Samsung flagship will sport a 'half-metal' body without detailing the aesthetics of the handset. GforGames (via a Korean publication Naver) suggests that the South Korean giant pushed the launch ahead in an attempt to give a "head start" to its yet-to-be-announced Galaxy S6 and Galaxy S6 Edge against the likes of other flagship smartphones. The report speculates that both the Galaxy S6 and Galaxy S6 Edge will come preloaded with various in-house components. Analysts also predict that Samsung will ship around 45 million units of the Galaxy S6, which will include 10 million units of the Galaxy S6 Edge. Recently, a possible variant of Samsung's next flagship, Galaxy S6, was spotted on the AnTuTu benchmark site along with some detailed specifications. The AnTuTu benchmark listing of the alleged Samsung Galaxy S6 (SM-G925F) showed the device running Android 5.0 Lollipop out-of-the-box on a 64-bit octa-core Exynos 7420 processor alongside Mali-T760 GPU and 3GB of RAM, in-line with earlier reports. Notably, the SM-G925F model number of the Samsung Galaxy S5 successor is one of the several expected model numbers of the Galaxy S6 in various regions and was first reported last month. Other specifications listed on the Galaxy S6 (SM-G925F) AnTuTu benchmark, posted by CNMO, include a 5.5-inch QHD (1440x2560 pixels) resolution panel; a 20-megapixel rear camera; a 5-megapixel front-facing camera and 32GB inbuilt storage. Some of the other rumoured specifications of the Galaxy S6 include a Sony IMX240 camera sensor, the same used in Galaxy Note 4; inbuilt storage variants of 64GB and 128GB (apart from 32GB), and another variant featuring a 64-bit Qualcomm Snapdragon 810 processor. We have already heard that the Samsung Galaxy S5 successor is codenamed Project Zero, and is reportedly being built from scratch.